This month, Emma Allen presents a personal selection of choice, summer-flowering trees, and how to go about planting them now. Melissa Mabbitt talks to Craig Woodhouse about where and how to plant bulbs for spring. Naomi Schillinger discovers a small private London courtyard that proves almost any outdoor space has the potential to be transformed, and we look at how home gardeners can help provide for hedgehogs year-round. Finally, Lia Leendertz asks why councils rush to replace old trees rather than extend their lives. 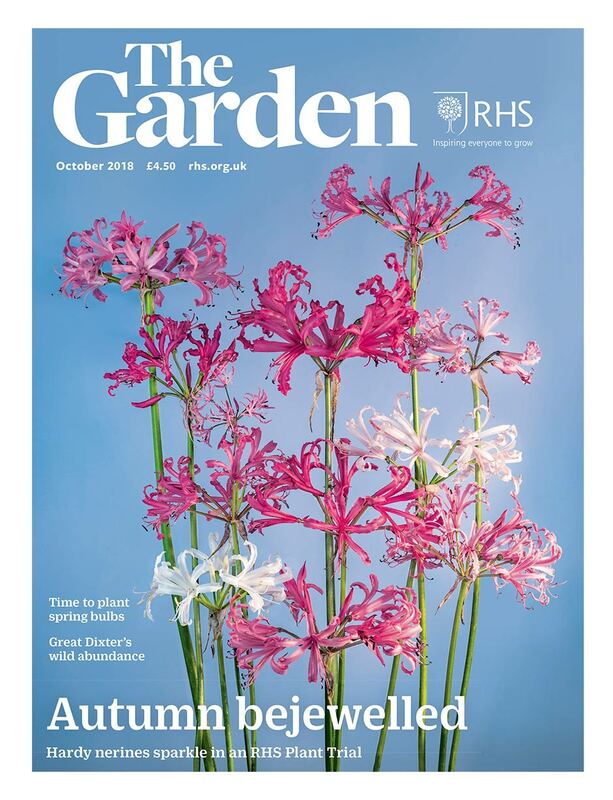 This month also sees the launch of a brand new RHS podcast, a peek behind the scenes of the magazine, with exclusive interviews, gardening advice and more - see rhs.org.uk/thegardenpodcast. Join in the fun at our family show, from 2–3 October 2018, full of autumnal ideas for a productive garden. Read practical advice from the RHS Gardening Advice team, on jobs to do in the garden in October.